9,000 Km on foot: Mochammad Khamim Setiawan, is an example of determination. The young Indonesian boy has been able to do what we might have thought as impossible. 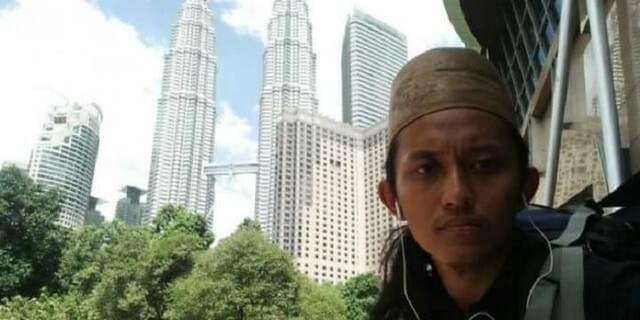 The young boy traveled from the Province of Central Java to Makkah, on foot. This is not a short distance, the young boy covered a distance of about 9,000 km and that too on foot. He undertook this spiritual journey to perform Hajj. It took him a year to reach his goal. Nothing could stop the ambitious boy. The journey was hectic and dangerous. He went all by himself, he traveled through different countries: countries where everyone was a stranger. He did not have shelter to reside and often slept in forests. 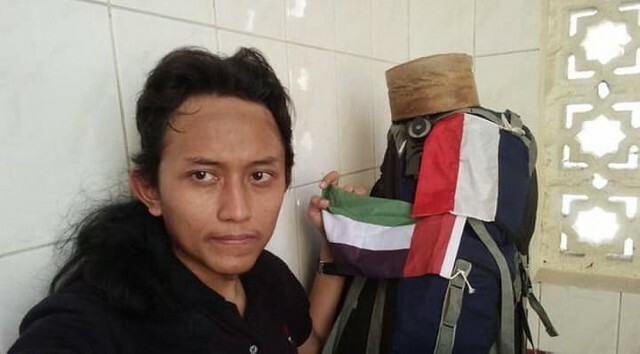 He had to cover his journey on foot so he could not carry many things, the only things he had in his backpack were Holy Quran, few shirts, 2 pairs of pants, shoes, few pairs of socks, undergarments, smartphone, GPS, portable torch, a small Indonesian flag, tent and a sleeping bag. What was the cost of the Trip? He carried with himself 3 million Indonesian rupiahs (which makes about SR 850). It is not that the boy was out of money, he runs a good business in Indonesia. He wanted to perform Hajj after winning a fight against sins. He said that what he did is a great form of Jihad. He believes that undergoing a spiritual journey was necessary. Syaufani Solichin, who is the father of the young ambitious boy, said that his son does what he wants to. When he makes up his mind, nothing can stop him. It was his ambition that he reached Makkah by traveling 9000 Km. Briefing about his adventure, his family told that they did not believe that he would be able to reach Makkah. His brother even tried to change his mind, but he wouldn’t listen to anyone. 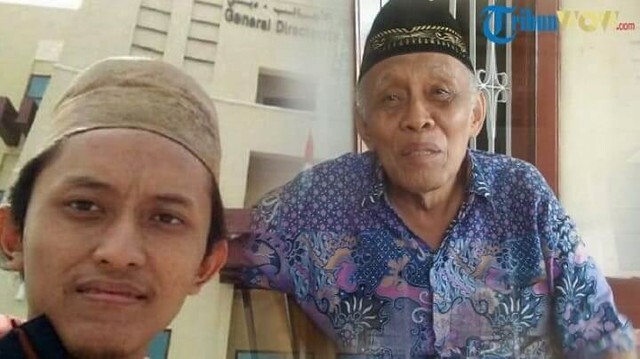 Finally, his father went to the Indonesian Religious Affairs Office to sign documents stating that he had no objections over his son’s journey. Setiawan is a man of determination. He used to fast in the day and walk at night. He would rest in mosques, public places, and even forests. Before he got knee pain he used to walk about 50 Km a day, but later his pain allowed him to walk 10-15 km a day. Encounter with Snakes: He consumed Halal food during his journey; he neither took special supplements or a special diet. He used to drink water mixed with honey to maintain his health. He twice felt sick during his journey. He also told that when he was in Malaysian forests, snakes appeared thrice but none could harm him as they died (miraculously) before coming closer to him. He had a great journey, people used to help him and he was often gifted some non-perishable food. He never asked for help or favor from anyone, he had trust in Allah. People misguided him in India: The only trouble he had was when people miss-guided him in India and he had to travel a long distance. He met people of different religion and some prominent Muslim scholars. He would record his journey footages and uploaded them on social media to inform his friends and family. He reached Abu Dhabi on May 19, 2017. He has successfully performed Hajj 1438.